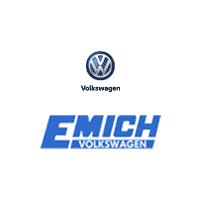 Bring your new or used Volkswagen into Emich VW’s Service Department for a Multi-Point Inspection at No Charge. Our professionals know Denver Volkswagens inside and out, using Genuine VW Parts that are designed specifically for your vehicle and perform service with the most current tools and equipment. Our certified technicians at Emich will inspect your vehicle, and let you know if anything needs to be attended to.